Newcastle upon Tyne is not only the most northerly city in England but also the place where I have lived for over half my life. It's a university city, Newcastle and Northumbria, located on the north side of the River Tyne in northeast England. On the south side of the river is where you find the town of Gateshead - there are seven bridges connecting the two places across the river. We love travelling. Discovering new places, meeting new people and doing new things. We had an absolutely brilliant time in Loch Ness earlier this year but it's also easy to forget how many great places on our doorstep. Within 15 minutes of our home, we can be at any number of fantastic attractions, both free and paid for in Newcastle and Gateshead. Over 2 million people already visit attractions in Newcastle every year and I can see why. So here are just some of places you shouldn't miss when visiting the area. 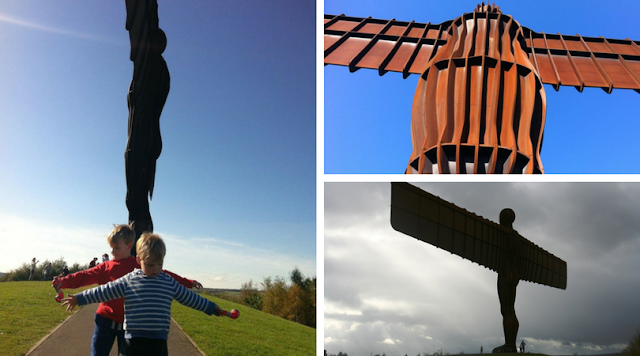 If you have headed North to Newcastle by car, coach or train then it's a good bet that you've passed the iconic Angel of the North which dominates the skyline on the approach to our city. Now nearly 20 years old (built in 1998) it is a steel sculpture of an angel, 20 metres tall, with wings measuring 54 metres across designed by Antony Gormley. 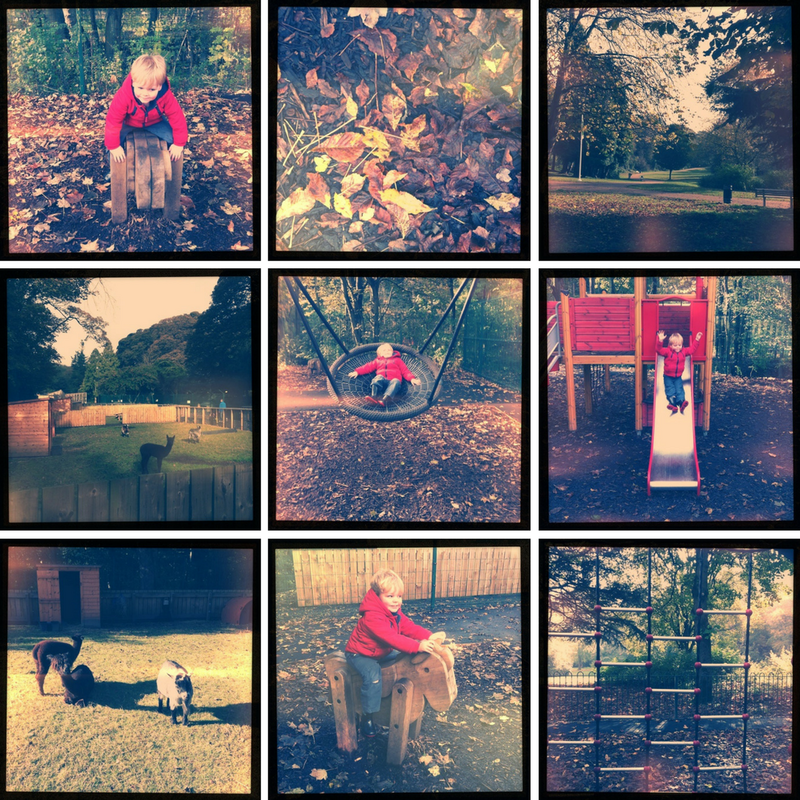 You can also stop off and visit Saltwell Park on the way. To get there travel by car, there is parking on site, or take the bus from the city just like North East Family Fun. There aren't facilities as such, but more often than not there are ice cream and refreshment vans on site. Whenever we visit or even just pass there are always people there viewing the contemporary sculpture, and what has become one of the most talked about pieces of public art ever produced. Whilst you are there, of course, you need to take the obligatory arms out wide selfie too! Oh, and they are both free to visit. 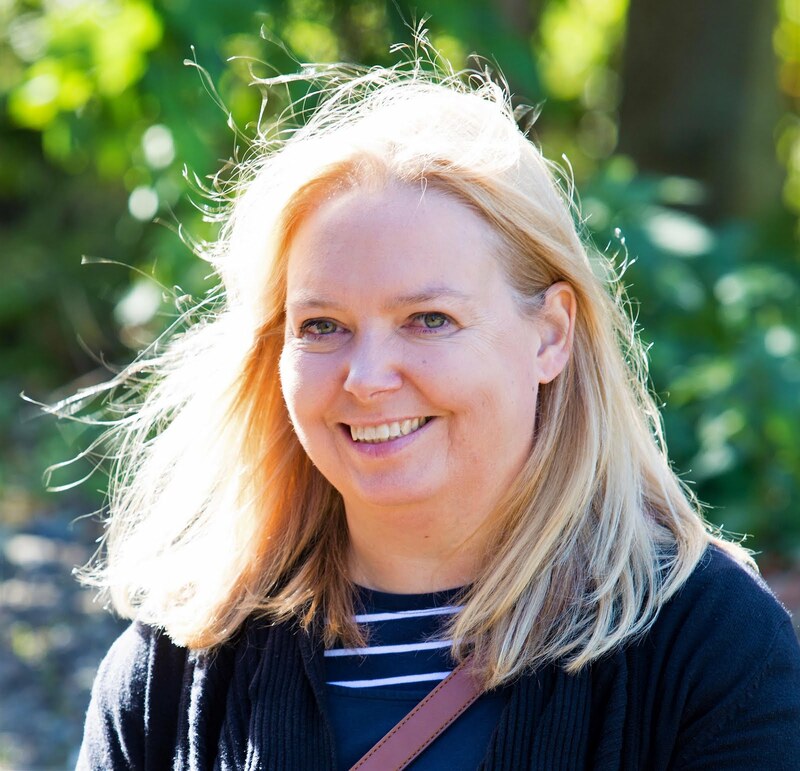 Discover all about life in Newcastle and Tyneside, from the area's renowned maritime history and world-changing science and technology right through to fashion through the eras and military history. The museum is bursting with interactive displays, which makes it the perfect place to learn and have fun. As soon as you enter you see Turbinia - housed in the main foyer of the museum - the first steam-powered vessel built here on the Tyne with a fascinating history - the 35-metre vessel was once the fastest ship in the world. It is a taste of things to come in this science and local history museum as the Hoopers found. The Discovery Museum does have its own cafe on the Third floor but there are also plenty of places to have your own packed lunch and drinks. 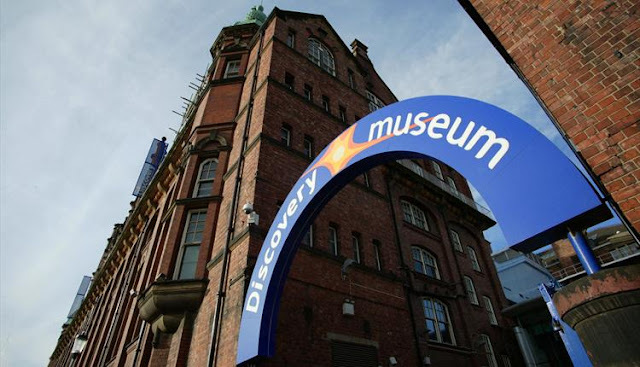 See how Newcastle has changed through the ages, enjoy the science maze, It is also one of the biggest free museums in the region. With a beautiful boating lake, play areas and a brewery, Exhibition Park is a short walk from Newcastle City Centre. Recently restored the great expanse of outdoor space in the city now has a new children’s play area, which includes outdoor gym equipment, a new skate park, resurfaced the tennis courts, restored bandstand, swans on the former boating lake, a new café and is also home to Wylam Brewery. 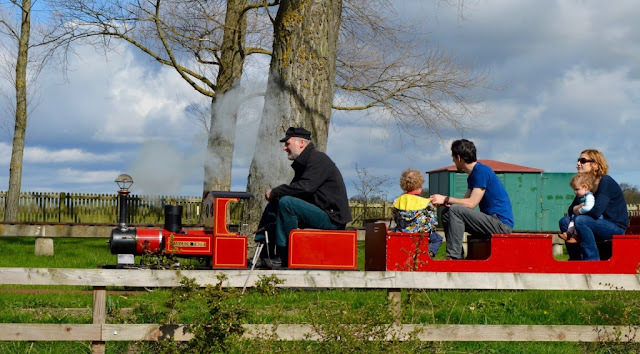 There is also a free miniature railway in Exhibition Park as North East Family Fun found located just behind the Wylam Brewery building that runs on the first Sunday of every month from 11 am - 3 pm from April - September. There are a few different play parks to try out in Exhibition Park and they are all next to each other so it's ideal if you have children of different ages - one for younger kids, an older children's adventure playground, a hidden assault course and outdoor gym equipment too. The parks are big enough for your children to spend a few hours and there is a cafe overlooking the parks too. The Great North Museum: Hancock is a museum of natural history and ancient civilisations. I think this actually makes it sound quite boring but you know what, it's not. It's a fun filled day for all the family, without breaking the bank too as it's free. 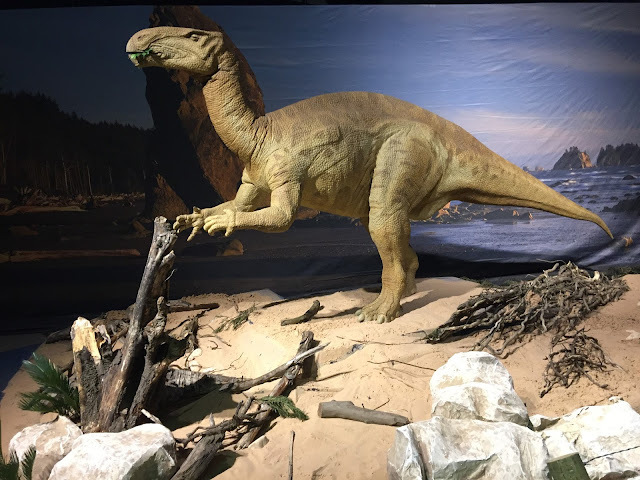 Key exhibits include a fully interactive model of Hadrian's Wall, natural history, a significant display of plants and animals, spectacular objects from the Ancient Greeks and mummies from Ancient Egypt, a planetarium and a life-size T-Rex dinosaur skeleton. It has two cafes, a packed lunch area during school holidays, as well as a breastfeeding area (although breastfeeding is welcomed throughout the museum), lockers too. My Boys are too big for it now but they have absolutely loved playing in the Mouse House - a space specially designed to excite curiosity and encourage young children to explore, as the Mouse House gallery is full of surprises with a mouse hole for crawling, bespoke historical and animal dressing up (like pharaohs and dinosaurs), books and story-times. Again so close to where we live we have an amazing park, I hesitate to actually call it a park as it's more like having your own spot of the countryside in the heart of the city. Jesmond Dene occupies the narrow steep-sided valley of a small river known as the Ouseburn. 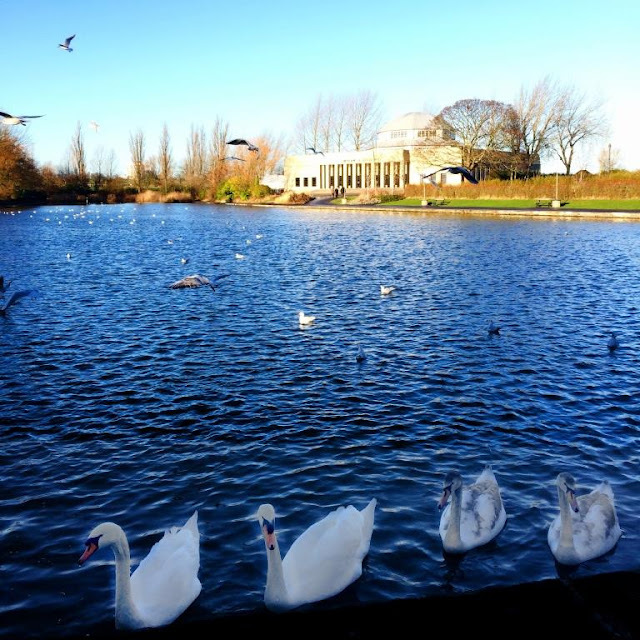 Designed by Lord Armstrong to reflect a rural setting, with woodland, crags, waterfalls and pools, he gave the park to the people of Newcastle in 1884, and it remains an amazing space at the heart of the city and recently benefited from a £6m Heritage Lottery Fund grant. There are nature trails, the best bridges for playing Pooh Sticks, play areas, picnic areas, grassy areas, visitor centre, cafe, toilet facilities, ice cream, and Pets Corner - a popular, family-friendly visitor attraction where you’ll find animals of all shapes and sizes, including pigs, goats and sheep alongside rabbits and colourful birds, including peacocks. My boys have always loved going to Jesmond Dene. The International Centre for Life is home to some pioneering organisations who do groundbreaking scientific work. Within at Times Square, where incidentally we recently watched Brian Wilson perform The Beach Boys' Pet Sounds album, is the Life Science Centre - the public face of Life attracting over 250,000 visitors annually. It offers a changing programme of exciting exhibitions, events, workshops and theatre shows. Highlights include the 60 seater state-of-the-art planetarium, the region’s only 4D Motion Ride and interactive exhibits and activities for people of all ages and interests. There is currently a Dinosaur exhibition which Babyfoote has been to see. 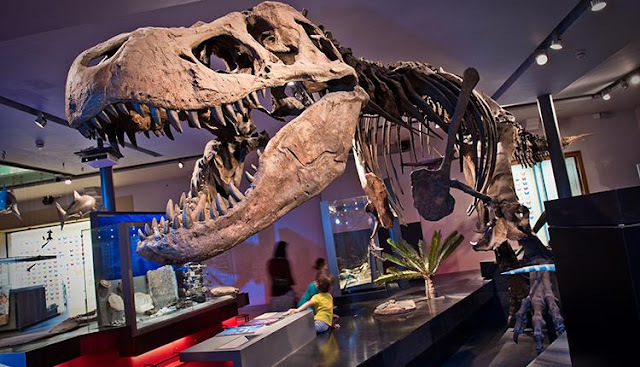 The Dino Jaws exhibit at the Centre for Life sets out to explore the gruesome, and fascinating subject of dinosaurs and their food. 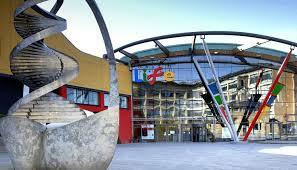 Life Science Centre is a great day out for all ages, and everything’s included in your admission price! Choose a day ticket, or pick up an Annual Pass for 12 months unlimited entry. Although Northumberland has more castles than any other English county you don't have to venture north out of the city to visit one as The Hoopers found. The Newcastle Castle has been recently reopened to the public after extensive renovation work. 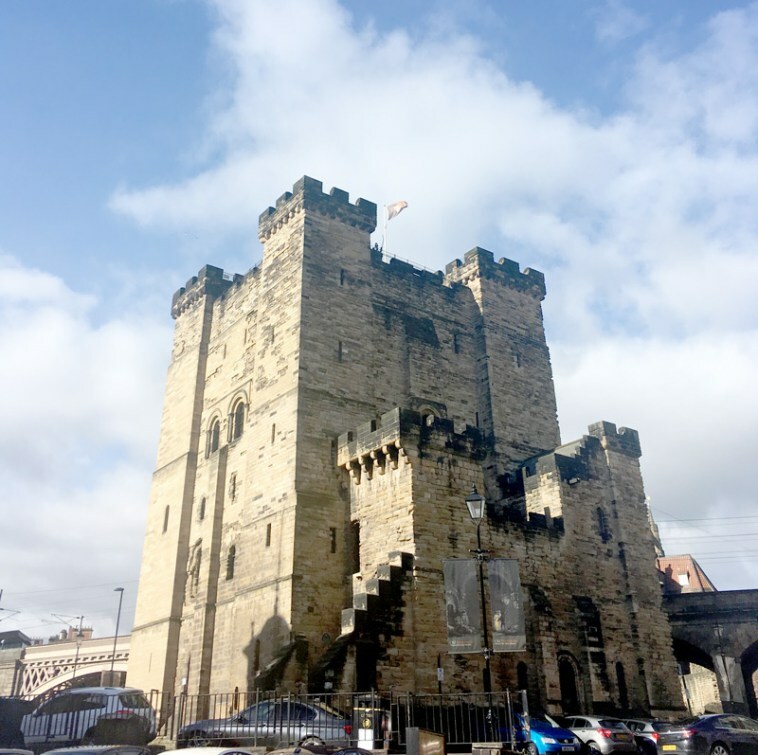 The Newcastle Black Gate and Castle Keep have been subject to a vast amount of research over the last couple of years which has revealed a colourful and grim history. The uncovered stories include prisoners being hung drawn and quartered to an unusual tale of a youngster being killed by a flying donkey. The Keep currently stands as one of the UK’s finest medieval stone castle donjon’s which is still open to the public. Visitors to the iconic castle will enjoy picturesque views, alongside in-depth history displays covering the backgrounds of castle inhabitants over the ages, and offering an insight into Newcastle's ancient heritage. From a royal fortress to grim dungeons, new exhibits allow visitors to experience what life would have been like for inhabitants in these two astonishingly preserved medieval buildings.The Newcastle Castle has also hosted several ghost-hunting exhibitions due to its grim history and apparent sightings of The Poppy Girl, a previous resident of the castle who was jailed for owing people money and was beaten and died in the castle prison. It's not free to visit but a family ticket is just £15.90. Oh, we do like to be beside the seaside. Newcastle may be ten miles inland from the coast but that hasn't stopped a beach being created right in the heart of the city on the Newcastle Quayside - it's open from Spring to Autumn every year complete with sand, buckets, spades, beach huts, deck chairs and refreshments. 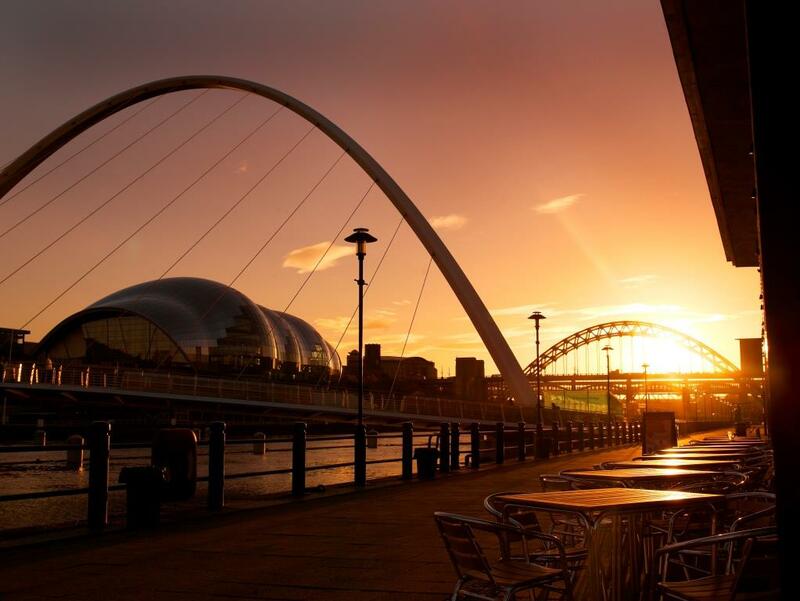 While you are there you can also pop over the Millennium Bridge and visit BALTIC Centre for Contemporary Art for stunning views across the city as well as contemporary art and children activities. Continue on a circular walk back over the Swing Bridge (designed by Sir W.G. Armstrong and opened to river traffic in 1876) and this will also take you through the eye-catching Sage Gateshead - an international home for music and musical discovery designed by Norman Foster. If it's a Sunday morning you'll also have the brilliant Quayside market to enjoy too. You'll find Seven Stories, The National Centre for Children's Books tucked under the Byker Bridge in Newcastle’s Ouseburn Valley, the perfect storybook setting. 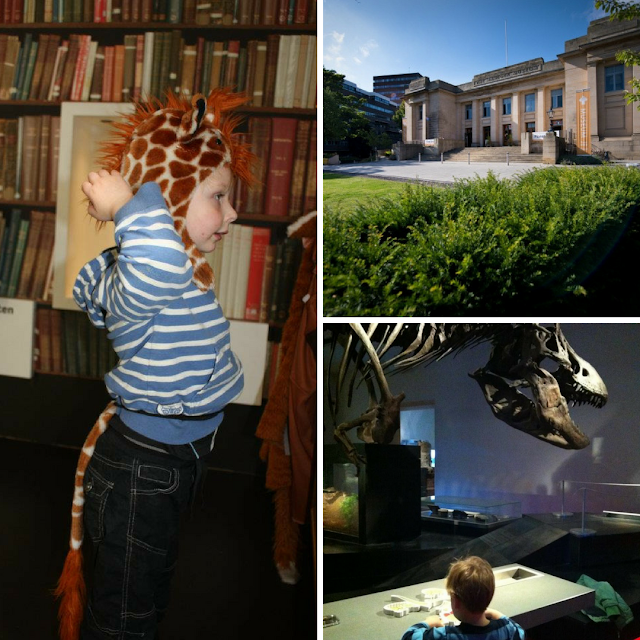 Accessible by car or bus or a short walk from the city centre, it's a great day out for the whole family, where you can explore the amazing world of children’s books where magical words and pictures are brought to life through exhibitions, activities and special events. 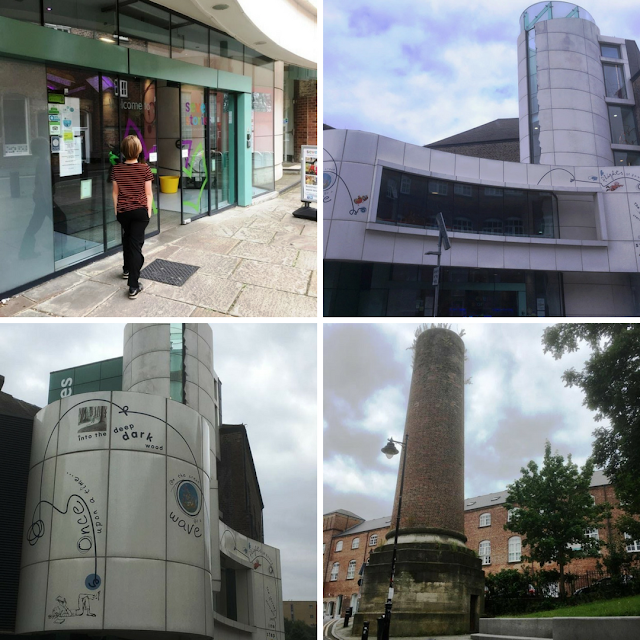 It opened in 2005 and Seven Stories is committed to preserving literature heritage for children after the 1990’s saw most of Britain’s most influential literature being sold to international collectors. Here you can explore your own creativity through writing, illustration and crafts or uncover a world of storytelling with dressing up and dramatic fun in the Seven Stories theatre. My boys thoroughly enjoyed the current Comics Exhibition. The Seven Stories Visitor Centre also includes an independent children’s bookshop and Café with a great selection of home cooked food. When it comes to choosing a city to visit Newcastle is growing ever more popular with cultural events, stunning landscapes that mix modern structures with historic hidden gems, contemporary attractions, a wealth of history and heritage plus an incredible choice of cosmopolitan nightlife much of which is suitable for families too. We are incredibly lucky to live here. Have you been to Newcastle? What is your favourite place to visit? I've never been to Newcastle but this would be super handy if we were to visit, so much to do and something for everyone. I've always wanted to see the angel of the north close up it looks magnificent!! Oh wow, it looks like there are lots of fun things to do for children, we may have to take a trip! It's amazing how much wonderful stuff is actually on your doorstep, you just forget when it's so accessible. 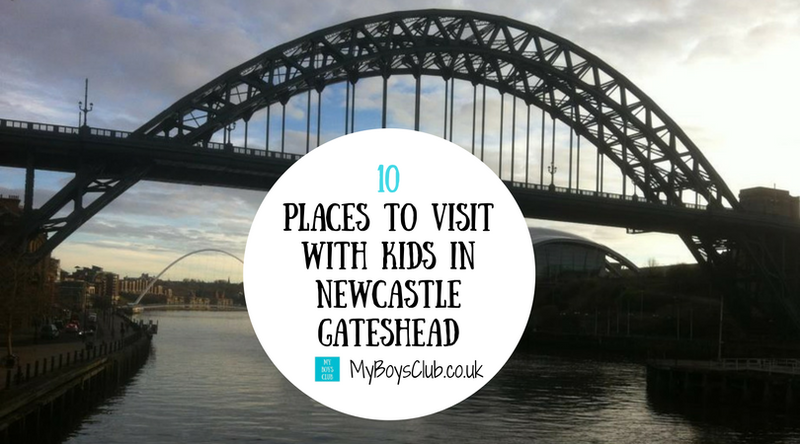 We've never been to Newcastle but this list would be fab if we ever did! Fab list, a few of these are in my top 5 that I blogged about this week. I should definitely visit Jesmond Dene more often, it's so lovely! 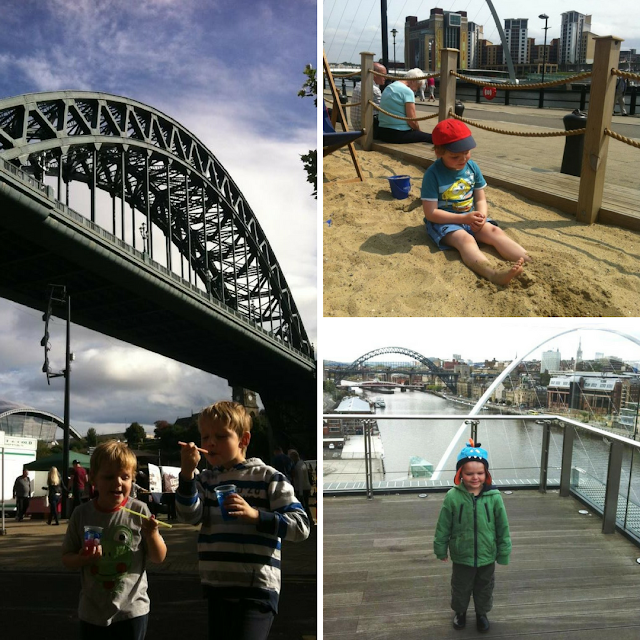 I have never been to Newcastle but it looks great, with so much to see and do with the family. what a brill post! thanks for including us. we loved the newcastle castle and have recommended it to loads of people! Thank you for posting. I'm not English - but have been living in England since 2009! We're based in Kent, so I think the furthest north I've been it's.....Cambridge? :)) Actually come to think about it I've been to Northern Ireland in 2007 so that's quite northern. But I haven't explored the English North, I keep nagging my husband that we should.